Last week I bought quite a lot of products from MAC which I hauled in my last blog post. The lady in there helped me so so much and recommended I got the oil control moisturiser as I have oily and spot prone skin. I thought I would give it a go. As a beauty blogger I like to try new things and see if they are as good as they say they are on the bottle. So here goes. I have used this moisturiser for about 4-5 days. When doing my makeup in the morning after washing my face I apply a generous layer of this moisturiser to my skin and let it sink in. I then apply my primer of choice that day and continue with my makeup. Since it is now summer and the weather is warmer and sometimes even rather hot I find my skin gets a lot more oily than it would normally. I tend to be more oily on my forehead, around my nose and also on my chin lets face it, melting makeup and a shiny face is NOT a good look! I have used this moisturiser for about 4-5 days and I cannot believe I haven't used it sooner! It is honestly AMAZING! when using this along side a primer my makeup lasts all day! I don't get any shiny sections my skin can also look dewy but feel matte. I have also noticed since using the moisturiser my skin has cleared up a lot more. If you have oily and spot prone skin I highly highly recommend you try this out. I will definitely be repurchasing this when it runs out and I will continue to repurchase it too! I hope you liked this review and I would love you hear about your opinions or perhaps what moisturiser you like to use for your skin. Please follow comment, like and share. It sounds like we have the same skin type and this sounds perfect! Its so hard to find a moisturiser that doesn't break me out. 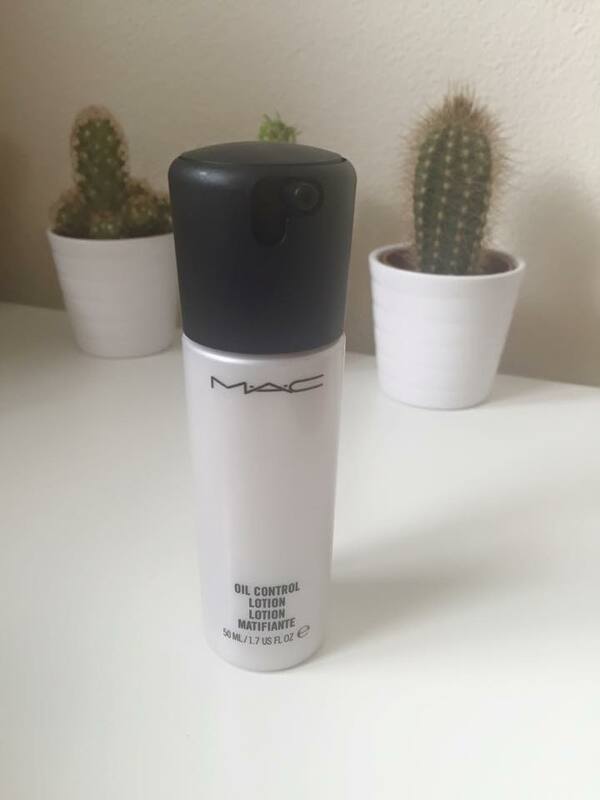 I can't believe I never thought of trying mac for moisturiser before.